Who remembers the Litographs Contest that resulted in this gorgeous Cinder artwork by Snigdha Chaya Saikia? 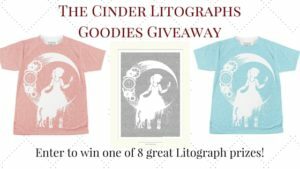 Well, the resulting Cinder Litographs merchandise has been available to purchase for a while now, but I’m finally getting my act together and hosting a Cinder Litographs Giveaway! Eight winners will receive either a T-shirt or poster. Fill out the form below for your chance to win! 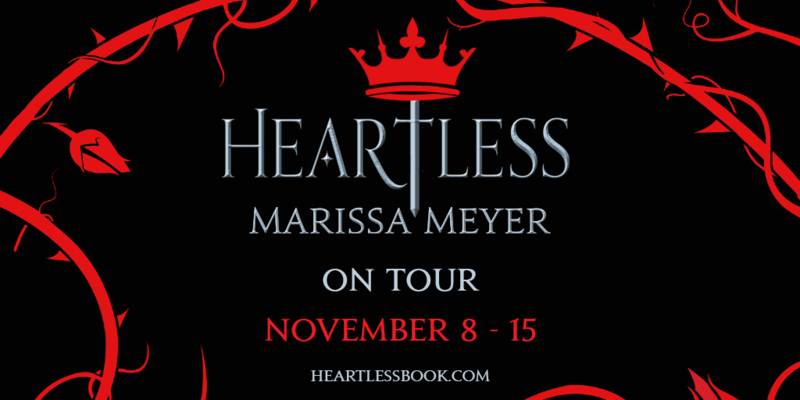 We’ve just announced details for the Heartless tour, happening this November! We’re in big party-planning mode, and these stores are all gearing up for some fun “royal ball” or “mad tea-party” shenanigans. 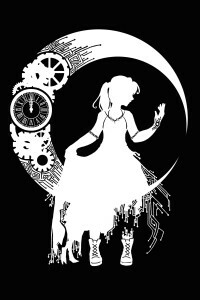 I look forward to meeting lots of Lunartics and Alice fans alike! Times and ticketing information to be determined. Stay tuned! What happens when YA Authors and YA Booktubers join forces? A ridiculously cool new anthology, that’s what! …where the theme is all about the evil, the wicked, the downright crazy… or, perhaps, the vastly misunderstood. That’s right: it’s an entire anthology dedicated to VILLAINS. Though I can’t tell you who my villain is, I can say that you definitely know who they are, and I loved getting to tell a bit about their story. 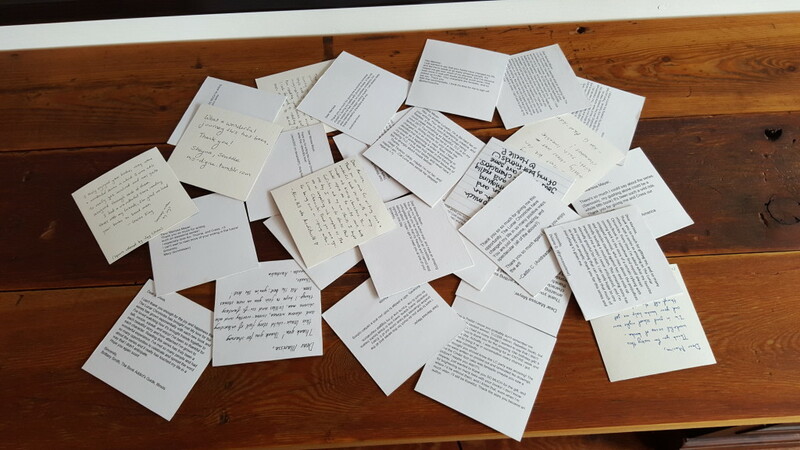 Why – the full list of amazing contributors, that’s what! 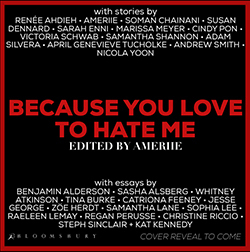 For more information, check out this Publisher’s Weekly article on the anthology, including an interview with our brilliant editor, Ameriie. And keep an eye out for the book, publishing July 2017! I am delighted to be a guest author at next Tuesday’s Fierce Reads event in Seattle! If you’re in the area, I hope you’ll come see me, along with fab authors Marie Rutkoski, Harriet Reuter Hapgood, and Cecelia Ahern. Who: Marie Rutkoski, Harriet Reuter Hapgood, Cecelia Ahern, and me! What: Talking books. Signing books. Geeking out over books. See the full list of events for the Spring Fierce Reads Tour here. And for everyone who can’t make it to any stops on this awesome tour… and, okay, even for those who can – I’m hosting a giveaway where you could win books from all four of us! Ends May 15. Open internationally. Enter using the Rafflecopter form below. Welcome to April, and… the start of Camp NaNoWriMo 2016! I decided to take on Camp Nano this year for the very first time. Though I’m an old NaNo pro, I’m excited to be doing a new challenge, and at a time of year when I might be able to get some work done while sitting on a blanket in the grass beneath the warm sunshine… which is slightly optimistic given the Pacific Northwest springtime rainy season, but… never stop dreaming! If you’re not familiar with Camp Nano, it’s put on by the same folks who bring us National Novel Writing Month every November. But rather than being supplied with a writing goal (a 50,000 word novel in 30 days), you get to choose your own goal, plus you can join private cabins where you and eleven other Nano-ers can root each other on. My Camp Nano Goal: To complete an outline for the first book of my Gatlon (superheroes) trilogy, knock out a bunch of early research, and compile character and setting sketches for all three books. 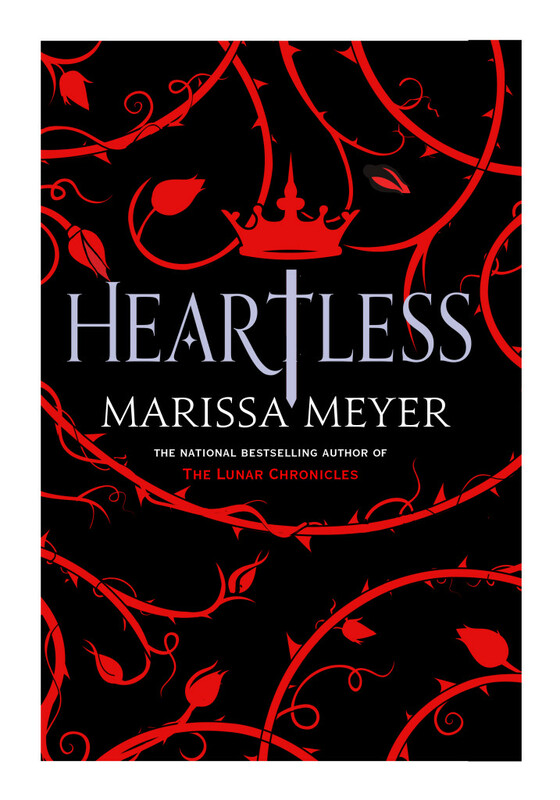 If you’ve been following me for a while, you might be thinking… ummmm, didn’t you already write the first book of the Heroes trilogy…? To which I would say: Hush up, you stalker! I would actually say: Yes, indeed! I wrote a draft of this book during NaNoWriMo 2014 (holy cow, where does the time go?) – but then I got caught up in finishing Winter, Stars Above, Heartless, and two graphic novel scripts, and when I went back to review the draft I wrote all those months ago… I was supremely dissatisfied. Which is neither uncommon nor unexpected. In fact, this has happened with the first draft of just about every book I’ve written, and I’m beginning to realize it just might be the way my brain functions. At least I know I’m not alone, given how many writers talk about scrapping their first drafts and starting from scratch on a regular basis! I never think of these first drafts as wasted, though. For me, that first non-draft has to happen before you can move on to the first real draft. It’s like, your brain is cluttered with all the boring, cliché, and expected ideas and you need to scrape off that layer of drivel before you can get to the goldmine underneath. And now it’s time to roll up my sleeves, grab my shovel, and start digging up the real story. Huh… that’s actually not a bad analogy. Anyway, so I’m back at square one, but I’m also excited to dive back into this world and start molding it into the awesome trilogy I believe it can be. Are you doing Camp Nano this month? Feel free to post about your April goal or root each other on in the comments. And though I already have a cabin, feel free to use this blog post to seek out Lunartic cabin mates for yourself! Board Books for Babies… and Parents! You guys know that our adoption finalized, right? 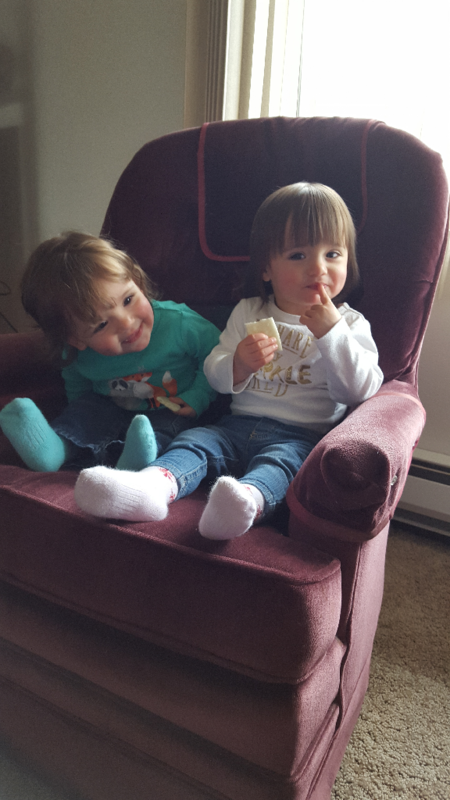 Because I just realized that I posted about it on Facebook but never here on my blog, so for those who were following our foster-to-adopt journey, the twins became Officially Ours last December. Before having babies, I knew very little about the board book and picture book market. Sure, I had fond memories from my childhood of Harold and the Purple Crayon or Where the Wild Things Are and lots and lots of Dr. Seuss, but otherwise this last year has been a crash course in baby books, new and old, as I’m sure it is for all brand-new parents. And then there are the books that appeal not just to the girls, but to us as well, and I have developed an enormous appreciation for these treasures! Those that are still humorous and heartwarming, even on the hundredth reading. Those that have surprisingly detailed pictures, where you can still spot something new in the illustrations even if you’ve seen them dozens of times before. 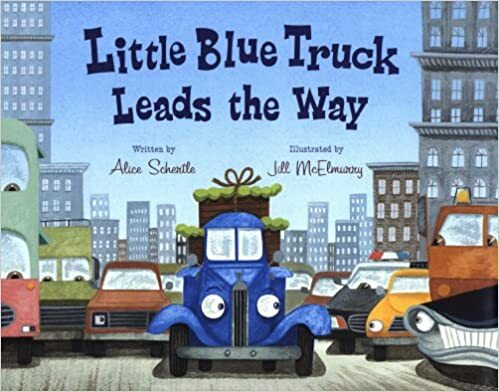 So today I thought I’d post some of my favorite board books that we’ve discovered since getting the girls, just in case anyone out there has little ones in need of a new Favorite Story. This one was an instant classic in our house. 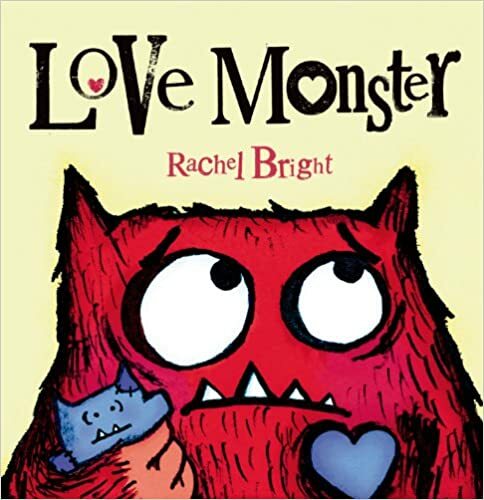 The story quirky and sweet, there’s great voice in the writing, and the illustrations are both adorable and surprisingly complex when you really start to look at them. 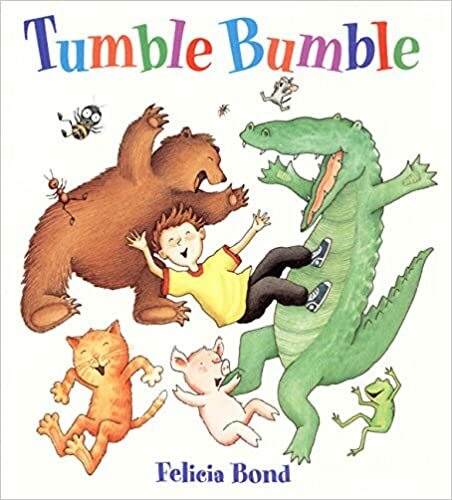 These are very clever rhyming books that are fun to read out loud, and the stories are paced just perfectly to hold the girls’ attention. Plus they each carry a nice message about kindness and patience, without feeling overly moralistic. 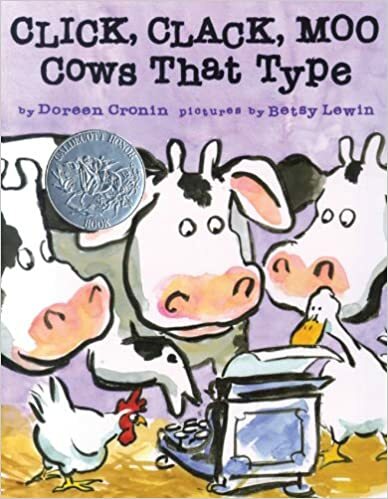 Not only does this one have a great off-the-wall premise (Cows that type? Impossible! ), but it also uses unexpectedly mature vocabulary, like ultimatum and neutral party. You know, in addition to all the moo-ing. Okay, parents, teachers, and librarians – your turn! What are some of your favorite books to read to the baby and toddler set? 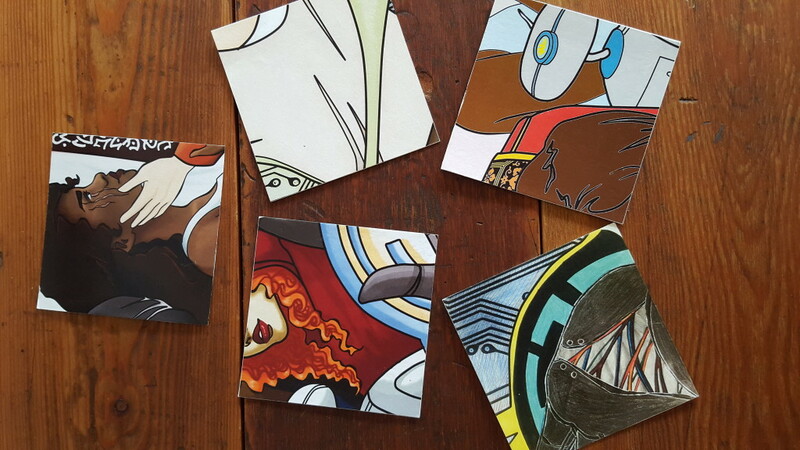 At the launch party for Stars Above last month, I received a most curious gift: four paper squares with some obscure artwork on them. 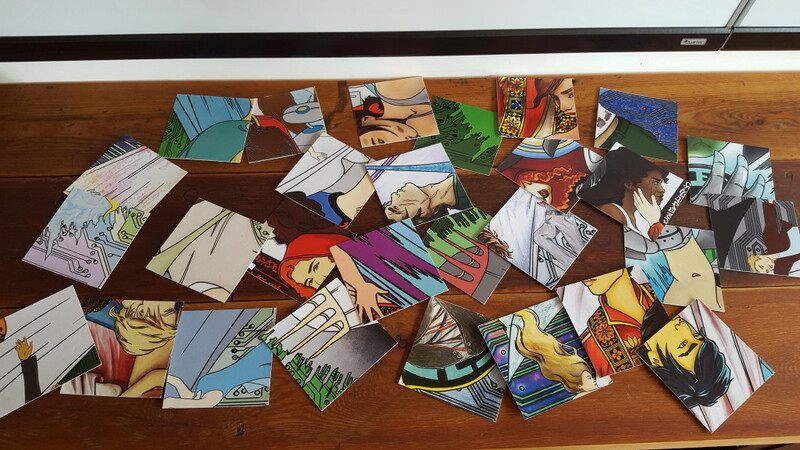 They also came with a letter explaining that at each of the events on the Stars Above book tour I would receive yet more squares – so that, at the end of the tour, I would have 28 puzzle pieces that would make up one epic image. Waiting for those squares and trying to piece together what I had after each event was one of the most fun book tour experiences I’ve ever had. It was like a scavenger hunt! And a birthday party! And getting cool fanart! All rolled into one! It was such a joy trying to interpret each individual piece as they came (Look, it’s Winter! It’s Scarlet! I… have no idea what that is. OMG it’s Iko!! ), and even more fun as the picture began to reveal itself. Reading through your thoughts on the characters, world, and story of The Lunar Chronicles meant so much to me. I truly can’t express to the collaborators of this project how much I enjoyed receiving the pieces, reading your thoughtful words, and seeing the puzzle come together. 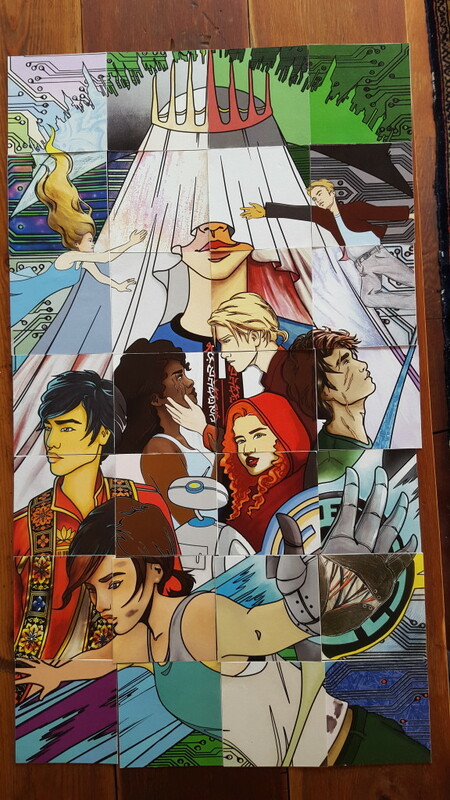 I’m just so touched by the thought and effort that went into this surprise project, and so happy to be able to share the completed puzzle with all my Lunartics today! Seriously. 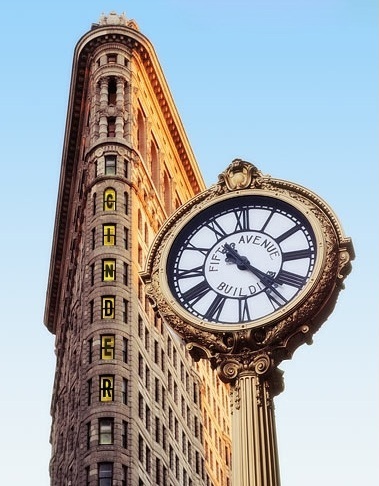 How cool is that??? And a particularly warm thank you to the coordinator of this project, Kat-Adara, who must have put so much time and thought into making it happen. Your organizational skills are astounding! Since the launch of Stars Above, I’ve been doing a lot of reminiscing about the last four years, which have been amazing, surreal, and life-changing in so many ways. And I’ve been inspired to assemble a sort-of virtual scrapbook on Facebook: each day this month I’ll be sharing one of my very favorite moments in the time of The Lunar Chronicles, including some of the most memorable fan interactions, crazy-cool promo stuff, and some moments that literally brought me to tears. Follow along for more of my favorite TLC moments all month long at https://www.facebook.com/MarissaMeyerAuthor/.